Escaping away for dear life. He keeps looking back, checking if anyone is after him under this forest trees. The sun is blazing hot. Tired from escaping, he stops by a flowery rock to rest. He sees one big flower enough to hide and walks towards it, while talking. "You're one big beautiful flower aren't you, very unique too. I bet you can hide me inside your petals"
He gets inside the flower and the flower closes her petals. Drowning him to death. 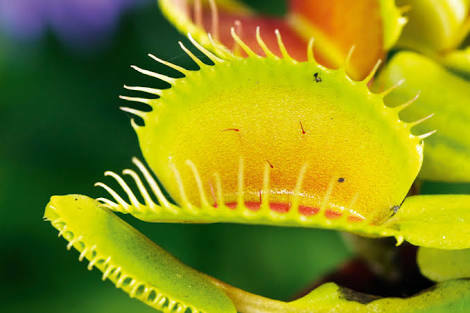 He doesn't know the flower he thought to hide in is a carnivore, serial killer of mosquitoes like him.